In this post we’ll take a deep dive into the free WordPress plugin – Table of Contents Plus. 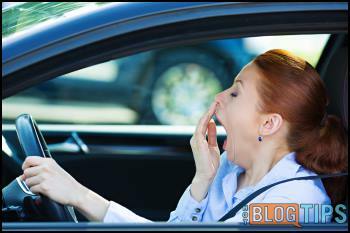 I don’t know about you but every now and then I get a little long winded when writing a blog post. 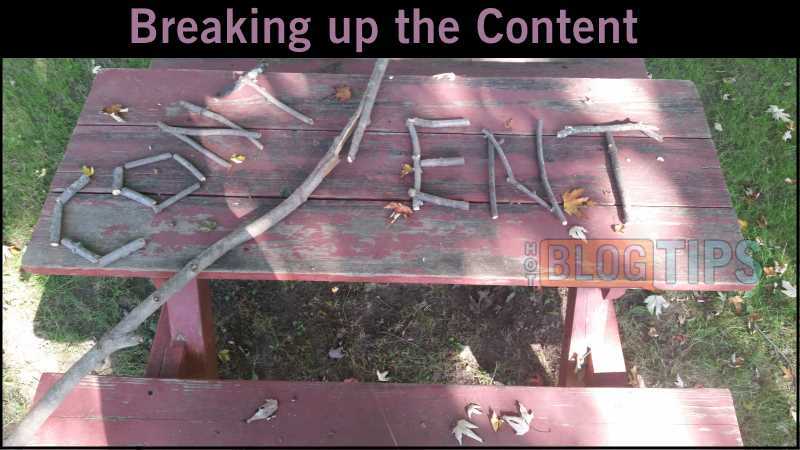 Adding a Table of Contents (TOC) to longer posts can make your post easier to read (consume) and the section itself can help “breakup” our content so it’s not as overwhelming. The Table of Contents Plus WordPress plugin allows us to include a clickable post menu based on the number of headings (you determine which heading tags). Shorter posts can omit the TOC while longer posts with a lot of sections can include the table. Whenever we write a post or article, we need to keep in mind that most people will simply “skim” the content. There’s no sense in getting upset about that; times are changing and it has become almost human nature. We want to see, hear, or watch things with the click of a button and move onto the next thing as fast as possible. I recently had to stop at 2,000 words and break my post up into a series and another post went well over 2,500 words. That’s a lot of content for the average blogger to consume in one sitting – we’re asking a lot. There’s nothing wrong with that, in my opinion, sometimes it takes a lot of content to convey our message. With that in mind, it’s more important than ever to break up our content into very readable paragraphs with great subheadings. It also helps to use supporting content such as images, video, SlideShares and infographics, but that discussion is for another day. You know you’re doing well when someone can skim down your content, reading the subheadings and get a good gist of your message. It’s our job to create enticing headline and subheading that will draw the reader in deeper for areas they’re interested in. Speaking of long content, I’m doing it right now. I’ll get to the point soon, I promise. So now we have great content organized into easily readable chunks labeled with descriptive headings and subheadings. Hot Tip: Never use the H1 tag more than once per page or post and that should be reserved for your post or page title. So understanding that most people, or many people anyway, want to spend as little time as possible on your page; wouldn’t it be nice to include a clickable Table of Contents? The plugin is called Table of Contents Plus. The following section goes into a little detail for some of the options and features of Table of Contents Plus so if you’re not going to actually use this plugin for your blog, you can save some time by skipping the following section. I love this feature because if we have a short post such as one or two paragraphs describing a video or infographic, for example, there’s no need for a Table of Contents. Right? No problem, Table of Contents Plus allows us to set a minimum number of headings before a Table of Contents is generated. By default the plugin is setup to generate it at four headings but something like six seems more appropriate. In other words, posts with fewer than six headings don’t need and won’t have a Table of Contents. Another cool feature is we can easily prevent a Table of Contents from being generated, even if it has a ton of headings, by adding the exclusion short code of into our page or blog post content area. What Is Considered A Heading? You may be wondering what this WordPress plugin considers a heading, am I right? That’s another cool feature because you get to decide. Each heading size you determine to apply will get a clickable link to that section. Simply click the “Advanced” section under the “Main Options” tab in the plugin dashboard. There you will see checkboxes for “heading 1 – H1” through “heading 6 – H6”. I decided to use H2 and H3 tags. That works perfectly for my writing style. You can determine where your Table of Contents will appear within your content by selecting (Under the “Main Options” tab); Before First Heading (Default), After First Heading, Top, or Bottom. where you want it on a particular post or page. You can also use the short code on particular pages or posts without the TOC being automatically being generated on all of your posts, if you so choose. This might be a good option when you only have a handful of posts where a Table of Contents makes sense. You can also decide if your content should wrap around the Table or not and whether it should wrap to the left or right. We’ll be here all day if I go into detail with every feature so I’ll just list a few more I thought worth mentioning. Table of Content Name – You decide the title of your table. You can even include your post/page title by using the code %PAGE_NAME% within the text area or the form (Where you put your table name in the “Main Options”). For example, you could enter Contents of %PAGE_NAME% and it will generate “Contents of” and then include that page or post’s title. Table Size (Width) – You can determine how wide your Table of Contents will be either by pixels (PX) or percentage. Font Size – You can adjust the font size using pt, %, or em. Bullets – One final feature I want to mention, because it made a huge difference on this blog, is the ability to use your theme’s default bullet style. You will find this option in the “Advanced” section. Personally, I think the default appearance of the generated Table of Contents looks a little dry, technical and dataie <- I invented a word with too many vowels. Luckily the customization features makes Table of Contents Plus the perfect fit. The ability to use my blog theme’s bullets makes a huge difference alone. The standard list “dots” were very ugly on this blog. I prefer the little arrow images you see on our TOC in the right sidebar.. So there you have it, well over 1,000 words and I didn’t even get into the plugin’s Sitemap feature. Plugin Security – I’m not a coder or plugin expert so I can’t look into the magical code and determine the worthiness of this plugin, much less the load or security; all I can go by is that at the time of this post it’s rated 4.9 out of 5 stars (73 ratings & 91,599 downloads) and seems to be current with updates (Version 1408 released August 1, 2014). I would direct any concerns to the developer at dublue.com/plugins/toc/. I had to play around with the settings a little to make the table look right on Hot Blog Tips. I had to wrap the table on the right, below the first title, and still leave room for any images on the right. I ended up putting ours in the sidebar to reduce any “crowding” conflict on older posts. 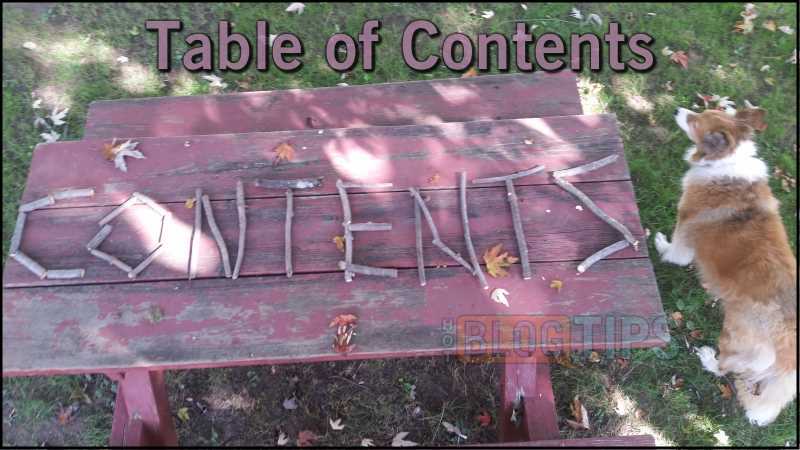 The Table of Contents Plus plugin won’t be for everyone but if you take anything from this post, I hope it will be the understanding that blog content is being consumed quickly – in most cases. There are certainly exceptions, such as a detailed how-to article where the reader needs to follow step by step instructions, but people are just being pulled in too many directions nowadays. Use bold, italics or highlighted text when appropriate. Use images to enhance and breakup your content (Don’t get carried away though and trash things up). Ordered and numbered bullets will always be in style. Consider block quotes and colored sections like I’ve done with this post. Most of all, create amazing content and don’t forget to let your personality shine.